I'd rather get a Tristan Thompson type guy next to KP....Tristan defends all over the place. Allowing KP to do either or. Regardless that doesnt change the point with Will...i literally said he can come off the bench if need be. we're working out deonte burton of iowa st, a 6'5" lefty, 265# f with 7' wingspan, projects as a poor man's draymond. Pause at 0:43 and 6:29-6:30 and look at that wingspan. 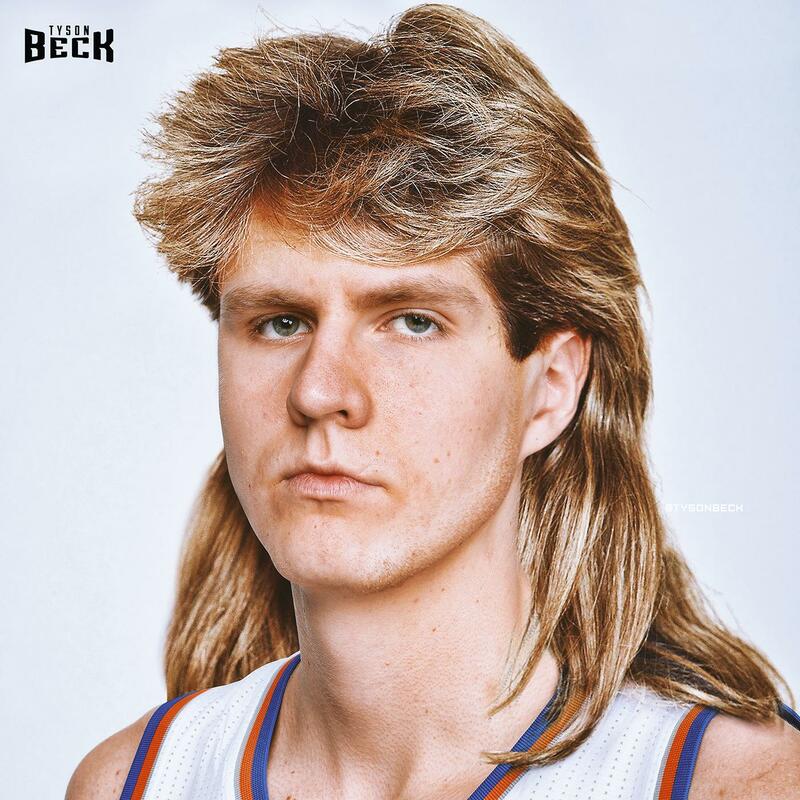 Don't see why KP ever has to play center. Dirk didn't. H20Knick wrote: This is the Sacramento Kings, Spree. You dont need logic here. Well played, hehe. Then my answer is: I don't want to trade Willy, because he could develop into a double-double starting center, but for a top ten pick and moving up, I might do it. Here's something about small town kid Malik Monk. Just a thought I had about this year's draft class: I'm more excited about the eight freshmen most have in the top eight spots - Fultz, Ball, Jackson, Tatum, Fox, Isaac, Monk, Smith - than about anyone out of last year (with the exception maybe of Simmons). So sitting in the eighth spot this year seems to be fine. Even after those eight you have Markkanen, Ntikilina and Collins. A great class. Would love to get another first round pick. another prospect that I'm a big fan of is Donovan Mitchell...good defender, great athlete, good mentality, solid form on his shot. without considering mocks...i prolly like him as much as i like Monk/Frank...If Tatum slips...and try to get him later. Monk vs. Tatum. Shot maker vs. shot maker. Monk's athletic gotta tighten those handles and get better in playmaking. Not too many holes in his game imho and Tatum's got wide shoulders, he's gonna fill out nicely if he commits to the gym. Don Che wrote: another prospect that I'm a big fan of is Donovan Mitchell...good defender, great athlete, good mentality, solid form on his shot. We gotta get Blazers 15th pick somehow to get a chance at Mitchell or Justin Jackson tho. Dennis Smith Jr. I'd be surprised if Philly don't pick him. They need talent in the back court and another ball handler to help Simmons can't be that bad. If he falls to us, it's hard to pass him up. But at 8th, it's gonna be a choice between DSJ and Frank or Monk and Frank. DSJ would fit nicely in the way the league is right now..
People seems to be taking his losing season at NCS agsinst him but somehow Fultz is ok.. He looks like D. Lillard or young Baron Davis, and getting that kind of guy with the 8th should be a blessing..
DRose comp seems off since he can shoot and has a more powerful game. We have one of the top-3 HOF coaches in the NBA as our president of operation, we also have one of the poorest coaching-staff in the NBA. I know a few colleges like Kentucky Duke NC Florida st. that has a much better form of coaching-staff than the Knicks. 1) Its a shame I cant give Phil Jackson credit for hiring the Knicks a decent coaching-staff. 2) Its a shame I cant give Phil Jackson credit for getting the Knicks a Keeper player out of any trades. 3) Its a shame all Phil Jackson FA signings turn out to be a failure with the poor coaching-staff he hired. 4) Like it or not .. Phil Jackson grade a C- minus for draft picks. The majority of the Top 20 picks in each year draft class the past decade happen to be freshman players and 19 yr old international players, the result of this has made NBA Basketball into the old 1980's NCAA basketball when we only let the college players go to the Olympics. The Knicks has the 8th pick and 2 2nd round picks .. what position players do the Knicks need from the draft? PG and SF! The Knicks are in desperate need of 2 or 3 new coaches (Mark Jackson as head coach) with the time n patience to develop young athletes into NBA form starting with DEFENSE first. My reason for KP missing the Knicks final meeting of the season, I believe KP were upset about his regress performance from previous rookie season KP did not improve on any area on the court .. Practically all the Knicks opponent starters in the 2016-17 season made KP look like a clueless bust when it came down to winning B.ball. Knicks fans spoke quietly on KP consistent poor performance this season. I like Dennis Smith creative-offense n style .. but I like Frank Nitty relentless defensive effort and pass-first attitude even more. Stressin wrote: We have one of the top-3 HOF coaches in the NBA as our president of operation, we also have one of the poorest coaching-staff in the NBA. I know a few colleges like Kentucky Duke NC Florida st. that has a much better form of coaching-staff than the Knicks. I more or less agree with some of what you said but how can you stand by what's bolded? He's only made one first round pick and that's Porzingis. His second round picks were Cleananthony, Thanasis and Hernangomez- so he's 1/3. That's way above the expected value for second round picks. KP didn't improve on any area of the court? I mean he didn't make the jumps I'd hoped he would make in the areas I'd hoped he would make them in but his shooting efficiency on a higher volume of shots alone can't be discredited as "nothing". washingtonparkjones wrote: Don't see why KP ever has to play center. Dirk didn't. And that's probably one of the reason they haven't been relevant since 2010. He don't have to apologize. He earned his title doing it his way and dominated, HOWEVER not much since. Age definitley a factor but they could've adapted and surrounded him with an awesome perimeter and they chose to go big. NYGM wrote: DSJ would fit nicely in the way the league is right now.. I feel like Rose had a way more powerful game. I think the highlight videos show him dunking and doing windmill layups which its good to know he can, but Rose at his age was routinely doing that like 3-4 times a game seemingly. Up until his injury Rose was probably the most consistently explosive and athletic a player Ive ever seen. Now its probably Westbrook and LeBron. In any case that's not to say that Smith isnt explosive whenever he wants. And I think that what is sorta underrated about his game is his passing ability. You said Lillard I think that's what he reminds me of but Barron Davis is now a new comparison that I can see him like. I think Smiths game will be much more tactical. He can dribble in place and actually scan the floor waiting for something to develop and when there's nothing there he can pick and choose when to iso and kick or be a pick and roll facilitator. In 1964 the Knicks had the first overall pick of the draft. There were a couple of guys they liked including a guy named Willis Reed. Instead the Knicks took Jim Barnes (who?) first overall. Willis Reed wasn't drafted with the second or even third pick. In fact he fell to the Knicks with the first pick of the second round; the 8th overall pick. I read about this a while ago and was thinking about it more recently, I had forgotten that Willis was the 8th until I looked it up again. Don Che wrote: I'd rather get a Tristan Thompson type guy next to KP....Tristan defends all over the place. Allowing KP to do either or. KP and Willy need to come off the bench together to learn how to compliment each others skills. 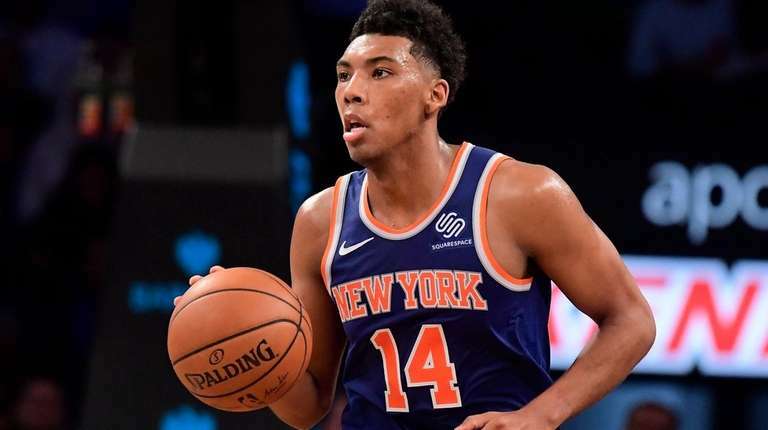 Noah and O'Quinn should be the Knicks official frontcourt starters next season .. Horn should be fired for having a DNP starter center Noah, and only giving O'Quinn 15 minute a game to average 7 pts 6 rb 1 ast 1 blk and 1 turnover ... Horn is a jerk or Horn was in on the TANKING. I think Horn should be fired for winning meaningless games at the end of the season and you feel he should be fired for not playing injured 30plus players, go figure. All this speculation is for not as Phil will pick someone who we're not even thinking about anyway.